Interested in partnering with ARE? As 2016 is soon coming to an end, ARE is looking back at its most successful year to date, where ARE Membership has surpassed 100 members for the first time and ARE has strengthened its well-proven partnerships with key players in the sector such as the Africa-EU Renewable Energy Cooperation Programme (RECP), the Africa-EU Energy Partnership (AEEP), IRENA, OPEC Fund for International Development (OFID), SE4All and also with Intersolar, to expand this year's Munich Off-grid Power Forum activities to Asia and Latin America in the future. 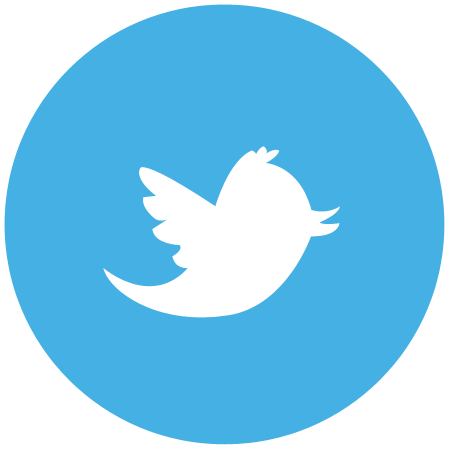 We would be happy to collaborate with new partners, if interested kindly contact me directly. As 2016 is soon coming to an end, ARE is looking back at its most successful year to date, where ARE Membership has surpassed 100 members for the first time, ARE has strengthened its well-proven partnerships with key players in the sector such as the Africa-EU Renewable Energy Cooperation Programme (RECP), the Africa-EU Energy Partnership (AEEP), IRENA, OPEC Fund for International Development (OFID), SE4All and also with Intersolar to expand this year's Munich Off-grid Power Forum activities to Asia and Latin America in the future. We would be happy to collaborate with new partners, if interested kindly contact me directly. In 2016, readership of the ARE Newsletter has nearly doubled to about 26,000 subscribers and ARE has expanded its promotion services to Members and Partners. As an example ARE launched a new website with a matchmaking and job platform as helpful new features sponsored by Mobisol and Solarkiosk. On the practical level ARE has carried out trainings, workshops and increased business promotion & knowledge intelligence services. Looking forward to 2017, it will critical to work hard that the ARE work will manifest more in concrete and tangible investments in clean energy access and de-risking initiatives for the benefit of rural populations in developing and emerging countries. ARE is therefore delighted to invite again all stakeholders to its 3rdARE Energy Access Investment Forum in Lisbon on 22-23 March 2017, which will bring together more than 200 representatives from the international and European public and private sector, high-level institutions as well as other key stakeholders for the development of business strategies in the decentralised renewable energy sector. The aim of the event is to discuss market conditions, key policy initiatives, business opportunities and showcase financial and technical instruments supporting rural electrification projects in developing and emerging markets. In line with the ARE Forum’s focus on supporting concrete rural electrification projects on the ground, we are happy to notice that ‘productive use’ chosen as the topic of this newsletter attracts a lot of interest from companies and ARE Partners to share their views and solutions. This edition will focus particularly on productive use of renewable energy, shedding light on different productive uses of energy and why it is essential for the economic development in rural communities in developing and emerging countries. ARE firmly believes that productive use of renewable energy is of the utmost importance to rural communities as it is sustainable in three ways: economically as it leads to local businesses’ development and to increased income generation, socially as it leads to empowerment, as well as health and economic benefits for local people and environmentally, as the use of renewable energy limits climate change impacts. The productive use of energy is therefore at the heart of the ARE mission to help spur sustainable development in rural areas via access to clean energy. As a final note let me also extend a big thank you to all Members and Partners of the Alliance for their great efforts made in 2016 to further clean energy access on the ground as well as to establish ARE as 1st point of contact for advanced energy access solutions. ARE is very happy to continue its work to further energy access in 2017 and welcomes its newest Members, which have joined since the last ARE Newsletter in October: Aquion Energy, SolarNow, CosmoSol and SMA Sunbelt Energy GmbH. We look forward to seeing you in the new year at the ARE Energy Access Investment Forum in Lisbon. Wishing you a pleasant reading and a restful break over Christmas and New Year to successfully tackle the next challenges to come! Most recipients of this newsletter will be very familiar with the phrase “productive uses of energy” and understand its importance. But what does it mean as we move into 2017 after a year of global political surprises? Britain wants to leave the EU, Trump wants to build a wall with Mexico. As we approach the Judeo-Christian holiday season in this year of political tumult and fears of a global re-emergence of isolationist policies, we should take a moment to reflect on our own global agenda, and ensure it demonstrates the kind of joined-up, collaborative processes we hope to see again in our politics soon. Before we do that however, let’s make sure we all understand one thing: it is not energy that creates income and it is not energy that is productive. When we talk about productive uses of energy, it is really a conversation about how to enable industrious, creative women and men with access to the right technology, know-how, finance and other support to make that energy do the miraculous things it is capable of. And this, as a sector, is what we need to work on most right now - bringing ourselves out of isolation as “energy” people and actively working to bring others into the conversation. Technologies are maturing due to the hard work of many of ARE’s members and others; as is the understanding of how and who can and should finance ARE members’ work. But there is still much work to do in learning how we can work with other sectors, ministries and stakeholders to create the political, social and economic ecosystems (at both national and local levels) needed for productive uses of energy to really take off in a way that will improve incomes for households and businesses, tax revenue for governments, returns for investors, and of course demand and income for the energy service providers. In recent years, because there has been so much work to do in simply getting what I call the 20th century energy sector (big, centralized, often thermal energy) to buy into the 21st century energy sector (a range of technologies and sizes and business models), we ‘energy people’ have almost inadvertently been running an isolationist policy of our own. Moving forward, if we continue to primarily engage with energy players, we leave them in the driver’s seat, and we will see more of the same - business as usual. Moving forward, as a sector we need to much more strategically and coherently work beyond our comfort zone and engage with the sectors who will actually be using our services - the agricultural, public health, climate, and other spaces. Leveraging their political power and financial resources will be key to creating new opportunities for meaningful rural electrification. Hence, I hope you can join me, and Power for All, in a new year’s resolution to begin working hard to better integrate energy access into the daily vocabulary and work of other key sectors, and to ensure at least in the energy access space, that the 21st century will evolve from one of silos and uncertainty, to one of collaboration and progress. Happy Holidays! With 67% of its population living in rural areas, India is facing a constant battle with energy access. The main power grid aims to supply electricity to as many settlements as possible, but that, too, has its limitations. With major cities facing power hiccups, it is difficult to imagine the state of villages and rural settlements whose connection to the grid is either unreliable or just doesn’t exist. To combat this problem, an idea has been developed by Customized Energy Solutions (CES, http://ces-ltd.in) that looks to provide the rural consumer with affordable and reliable power. The Micro-grid Initiative for Campus and Rural Opportunities (MICRO, https://micro.ces-ltd.com) is an international initiative powered by India Energy Storage Alliance (IESA, http://indiaesa.info) which addresses the basic issue of making electricity affordable for the end consumer of rural and campus micro-grids by closing the gaps in the industry’s business value chain. According to the Government of India, there were around 1,001,506 villages over 100 population and 74,157 villages or inhabitations with less than 100 populations as on year end of 2012. It is estimated that over 200,000 such habitations will be electrified by off-grid solutions and in CES opinion, around 20% of these might be electrified with micro-grids. The funding requirement each year to meet energy access targets till 2030 can be in range of $2.4 billion in India and MICRO aims to leverage its portal that aggregates supply and demand with funding opportunities. At the heart of MICRO lies a portal which is a remote monitoring platform with supply, demand and funding aggregation capabilities. The portal is a unique multi-stakeholder platform which allows the industry to work as a bazaar where different stakeholders like project developers (or ESCOs), funding agencies and equipment suppliers can communicate with each other, realize the future business opportunities and validate the performance of current assets. MICRO is looking to involve a variety of stakeholders, namely Technology Providers, Regulators, Micro-grid Developers and Funding Agencies in its effort to make micro-grids techno-commercially sustainable and link electricity to economic development. To begin with, the MICRO portal has received the prestigious PACESetter Award that committed to fund monitoring installation in up to 75 micro-grid sites at subsidised rates. 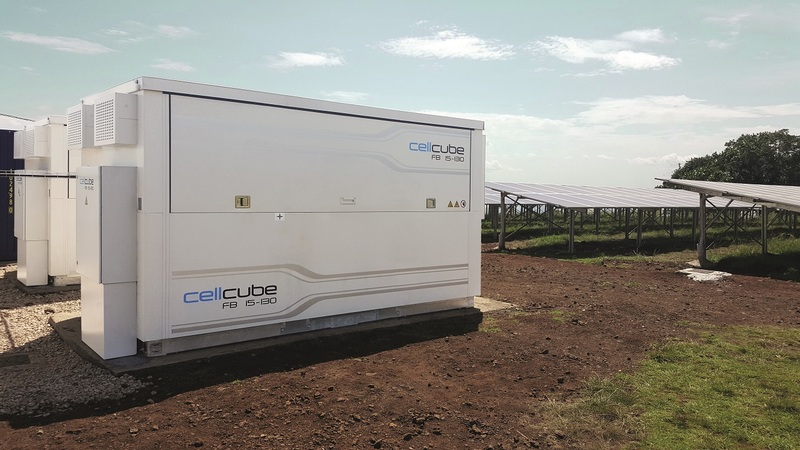 GILDEMEISTER energy storage has just successfully installed four units of their proven, turn-key vanadium redox flow energy storage system on Kitobo Island (Uganda) as the heart of a stand-alone micro-grid powered by photovoltaic energy. For the first time the 2,000 residents of the remote island in the Victoria lake have stable access to electrical power. Electrical power is scarce in Uganda with an electrification rate of only 7% in rural areas. As a countermeasure, the Rural Electrification Agency aims at boosting rural electrification to 26% by 2022 and reaching 100 % throughout the nation by 2035. 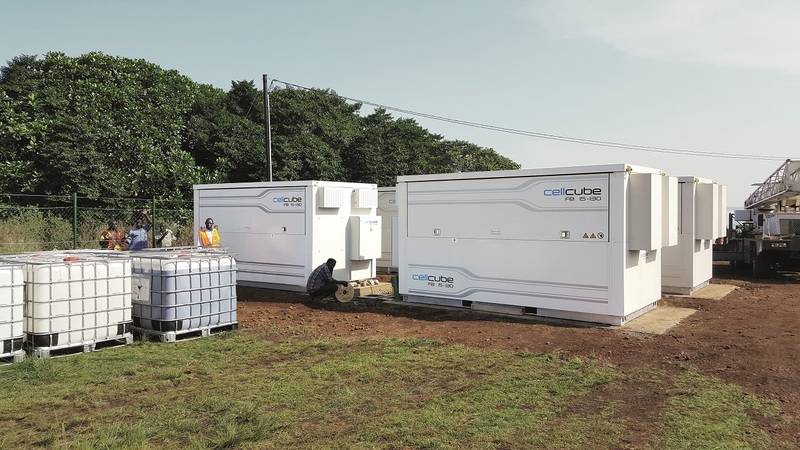 Among one of the first projects to bring Uganda closer to its ambitious goals is the micro-grid on Kitobo island powered by GILDEMEISTER´s leading energy storage system, the CellCube. This micro-grid connects 600 rural housings which never had access to a public grid before. The CellCube, the established brand under which GILDEMEISTER has already installed 130 redox flow batteries worldwide, provides constant and reliable energy, at the lowest possible ecological impact thanks to the high fraction of renewable energy sources used. In a country of such ecological sensitivity like Uganda, sustainability of the micro-grid´s components is of utmost importance. It must be the aim to use renewable energy sources wisely by reducing or completely eliminating the use of combustion engines for energy generation. An energy storage solution that can be charged and discharged several hours a day is the prerequisite for energy supply from a renewable resource such as sunlight. With the CellCube, GILDEMEISTER completely covers those requirements and offers the perfect solution that can provide energy from nearly 100% renewable energy sources. 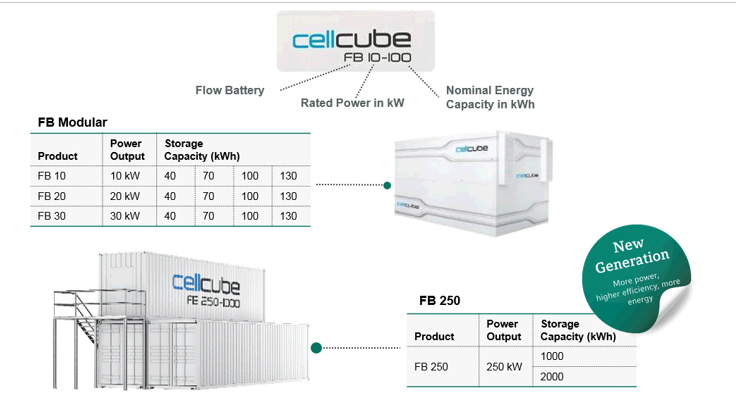 Turn-key system: The CellCube is a complete turn-key energy storage solution in a containerized housing. 100% depth of discharge and unlimited number of cycles: With a 100 % depth of discharge the island´s citizens can make use of the CellCube´s full capacity without having to worry to discharge the battery below a certain charge level. Longevity: The CellCube´s life cycle is up to 20 years making it the ideal combination with long-term photovoltaic projects. 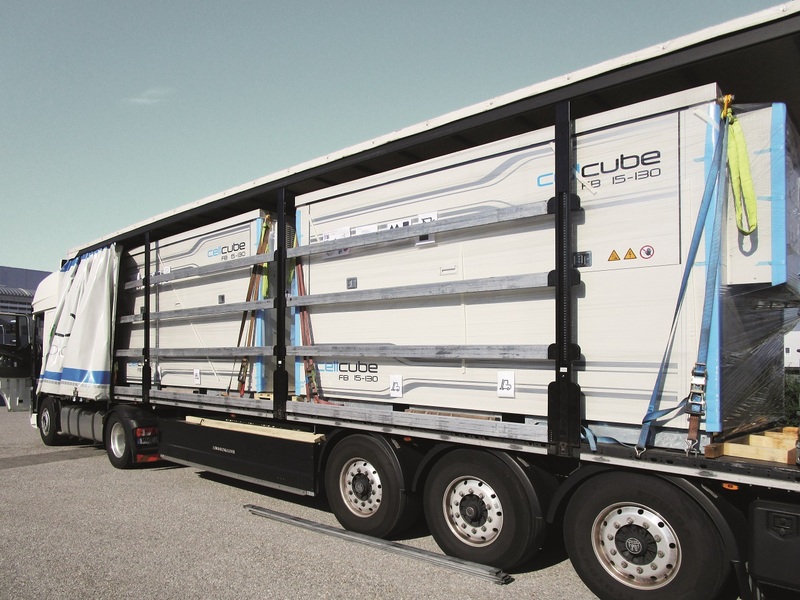 Scalability in power and energy: The CellCube can be designed and scaled up to the exact load requirements and can discharge for 4, 10 or even up to 13 hours continuously. Renewable energy fraction and reliability: 96% of the energy is provided through the photovoltaic installation supported by the CellCubes whereas only 4% come from a 60 kW diesel generator serving as a back-up. This combination reduces the CO2 emissions of this micro-grid nearly to zero. How to ensure energy access creates jobs? Policymakers and citizens often have high expectations that rural energy access investments will transform local economies; but this does not happen automatically. Catalysing productive uses of energy (PUE) often requires extra measures to overcome barriers, such as gaps in local people’s skills or financial resources. The Energy Change Lab - an initiative by Hivos and the International Institute for Environment and Development (IIED) - has examined three Tanzanian mini-grid projects to understand better the opportunities for PUE in rural settings. The research* reviews two mini-hydro projects set up by the NGOs CEFA and ACRA, and a solar-diesel mini-grid in Tanzania’s lake zone, run by a joint venture company, JUMEME Rural Power Supply Ltd.
All the projects have taken a holistic approach, going beyond the energy sector’s traditional mandate of simply supplying kilowatts. The projects are undertaking awareness-raising activities, skills training and facilitating access to funding to help local businesses buy electrical equipment (eg for oil pressing, carpentry, milling, etc). They have also innovated, for instance, by setting up an integrated power-agro-processing business or by designing an investment prospectus to attract larger-scale investment. A strength of the NGOs’ approaches is the social mission that encompasses community development; as a private company, JUMEME has a strong focus on cost recovery. Our work points to three key elements needed to drive PUE. A priority for developers is to fully understand productive use opportunities and build demand: combining energy provision with a rural livelihoods approach. This helps to create a viable service but a wider mandate also requires time and effort. Working with local NGOs can bring crucial expertise and relationships, but there is still a gap around local organisations that have expertise in rural business development. 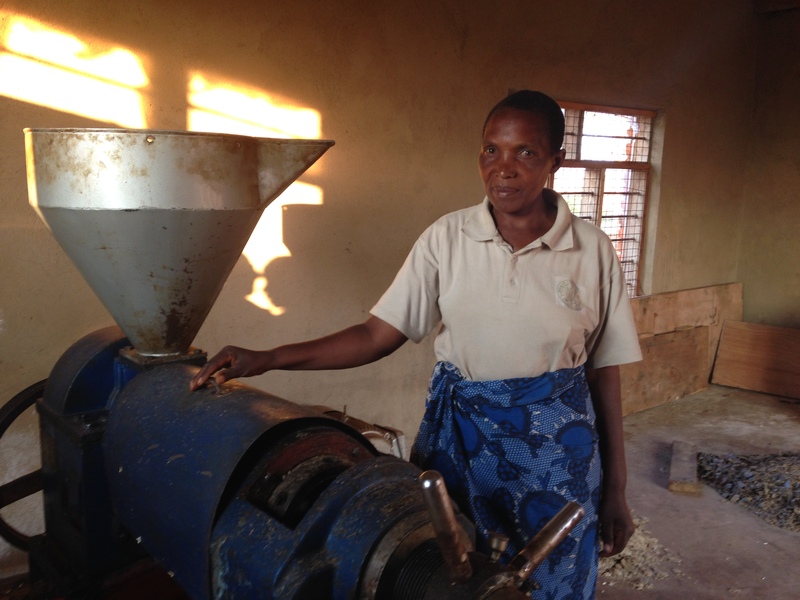 "Using Electricity for Oil Pressing: Esther Msafiri, Milo village, Njombe region (ACRA/LUMAMA). Photo credits: Sarah Best, IIED." It takes time and money to promote PUE to low-income and marginalised groups. Proper budgeting by developers, grant funding and patient capital are all needed to fill these funding gaps. Innovators in finance for micro, small and medium-sized enterprises and smallholders should share expertise with the energy access sector to help address the end-user finance gap. Finally, specific policy measures may be needed to accelerate productive energy use. This includes increasing cross-sector co-ordination and collaboration – especially between government ministries and other institutions key to rural development. 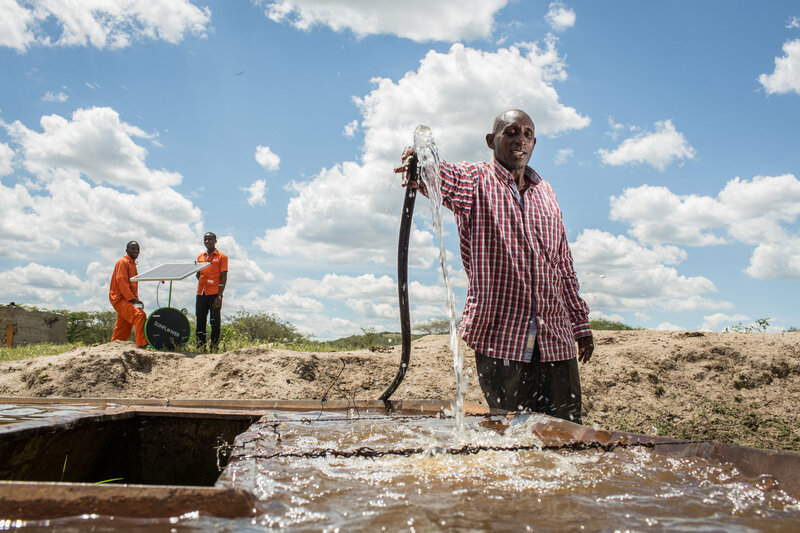 The Energy Change Lab (ECL) is building on this research to design a productive use of energy action-learning programme, which will help developers, policymakers and funders in Tanzania understand and test out innovative approaches. If you are interested in collaborating, please contact: Sisty Basil (sbasil@hivos.org) and Sarah Best (sbest@iied.org). *Best, S and Garside, B (forthcoming). Remote but productive: Using energy access investments to catalyse enterprise and income in Tanzania’s rural communities. IIED, London and Hivos, The Hague. Rural electrification through renewable energy is the flagship project of Mlinda. This initiative involves providing access to electricity to rural and tribal communities of West Bengal and Jharkhand, India in ecologically fragile areas and conflict zones through a system of renewable energy based pico-and mini-grids that are paid for by the communities. Till date, Mlinda has commissioned 310 pico- and micro-grids (ranging from 150 Wp to 8 kWP) with an installed base of 105 kWp. Rural electrification through renewable energy is the flagship project of Mlinda. This initiative involves providing access to electricity to rural and tribal communities of West Bengal and Jharkhand, India in ecologically fragile areas and conflict zones through a system of renewable energy based pico-and mini-grids that are paid for by the communities. Till date, Mlinda has commissioned 310 pico- and micro-grids (ranging from 150 Wp to 8 kWP) with an installed base of 105 kWp. To address growing energy access aspirations of the rural and tribal communities, our model evolved beyond lighting needs to meet holistic energy demand. In July 2016, Mlinda commissioned 4 SPV based power plants in the Gumla district of Jharkhand, each of capacity 22 - 24 kWp. Five more such mini-grids, each ranging between 20 kWp- 40 kWp are presently under installation in Gumla district. Total mini-grid installed capacity in Jharkhand is 210 kWp. This will be augmented to 220 kWp with addition in-situ of wind power by June next year. We believe that clean energy access is not an end in itself; it acts as a catalyzer for stimulating integrated rural development. By virtue of our deep community engagement and rapport, we have realised that providing clean energy access is but a means to triggering productive demand growth towards sustainable livelihoods. Establishing commercial viability of the mini-grids in remote rural tribal villages is a challenge, given that the domestic loads are volatile in nature, productive loads are seasonal and fossil-fuel-based, and anchor loads such as telecom towers, fuel stations, institutions and markets are not universal. Hence, to ensure the commercial viability of the mini-grid, it becomes imperative to invest in productive demand growth and supply 24 X 7 good quality, reliable supply of power. Each village of average size 150 households has three rice hullers (of 10 HP each), three irrigation pumps (of 8 HP each) and 20 pumps of 1.5 HP each. These machines, if replaced by efficient electric machines and powered by a reliable and responsive local mini grid can increase farm revenues. They would also act as anchor loads for the mini-grid and improve the utilization and commercial viability. Agriculture is the primary livelihood in rural India. In the states of West Bengal, Jharkhand, Orissa, parts of Bihar and Assam rice paddy is the staple food crop. Farm economy is dependent on irrigation pumps and rice hulling machines which presently operate on inefficient and polluting diesel machines. Mlinda has been working in the villages of Jharkhand from November 2014. Over a period of time, Mlinda has worked with the farmers and identified electric equivalents of the diesel driven farm machinery that would make farming more viable and increase margins for the farmer. Mlinda works with tribal communities in a focused and sustained manner to help them switch from polluting diesel farm machines to electric machines and grow the productive demand. Mlinda has till date fielded 45 numbers of small 0.75 HP electric irrigation pumps, four 7.5 HP electric pumps and seven electric rice hullers in the four villages. An additional demand exists for over 52 small irrigation pumps and six large HP pumps in the new grids which will be commissioned by December 2016. In addition to farm loads, Mlinda is innovating other diverse community based ‘anchor’ loads. In the tribal village of Narotoli, lighting and heating of the 58 poultry coops through Infra-Red lamps that serve an anchor load. With help from Smart Power India we are in the process of incubating a mini cold storage ecosystem in the village of Pasanga that will act as an anchor and also contribute to increasing farm incomes. Apart from growing the productive farm loads, Mlinda engages with domestic users to introduce low- wattage domestic appliances in local communities. All energy efficient machinery and devices are financed by Mlinda in order to to make them affordable to the rural consumers. We have fielded low-wattage appliances such as TVs and refrigerators in the commissioned grids and there is an additional demand of such appliances for the new grids. The mantra that works for Team Mlinda is to ‘grow bottom-up’. By virtue of deep community engagement and trust that we have generated at the grass-roots, we try and understand customer needs to incubate micro-businesses in which they see a definite value proposition, both in terms of their economic growth and improvement in their quality of life. We work with local tribal youths to build an impeccable energy service network by training them on repair and maintenance. Mlinda engineers, though hailing from urban areas, stay and operate in the tribal villages. Our field teams work relentlessly with existing social capital, involving diverse stakeholders - individual entrepreneurs, existing women groups and farmers clubs, user groups and local governance structures to grow the productive pie. This synergy of growing productive loads through access to clean energy powers local economies, contributes to agricultural productivity, thereby spurring integrated rural development. Our field level inputs combined with strategic inputs from our Paris HQ helps build a scalable and replicable mini grid model based on sustainable growth in productive demand. Towards measuring impact of our rural electrification initiative through mini grids at three key levels- increase in productive demand, growth in village GDP and reduction in GHG emissions, we have engaged Sambodhi as our Monitoring, Learning and Evaluation (MLE) partner. The impact assessment learnings will inform Mlinda mini-grid scale up strategic plan. ARE’s collaboration with Mlinda India in terms of funding three mini-grids in rural Jharkhand with an installed base of 69.5 kWp, knowledge sharing in the sector, providing learning and networking opportunities and visibility to Mlinda solar electrification model is a great opportunity for us to grow productive demand and provide clean and reliable power at affordable rates to the rural and tribal consumers. This stimulates the local economy and improves overall social well-being of marginalized communities on one hand and brings increased commercial viability to our inclusive business model. ARE is an enabler to help us achieve our objectives to scale this model, reach out to more rural and tribal communities with 24 X 7 reliable power and fast track rural development. Energy access is one of the world’s biggest challenges and many solutions have been developed in recent years (e.g. Solar Home Systems, Solar Kiosks, Mini-Grids). 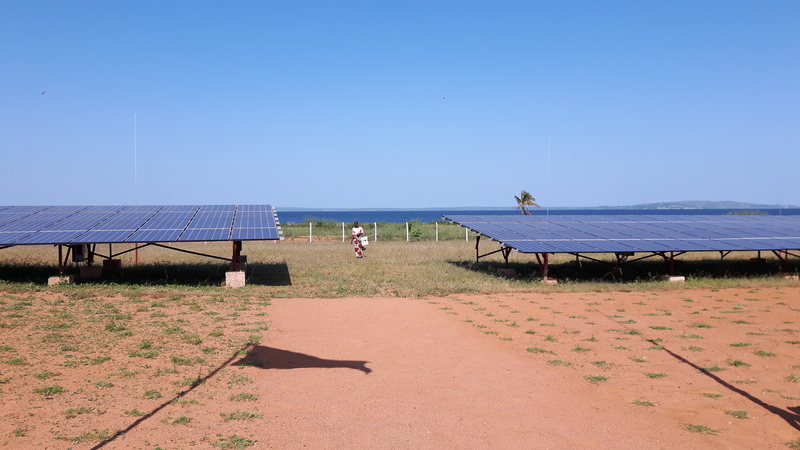 Mini-Grids are an essential solution in achieving energy access as they are the only non-national grid solution that offers AC Power and enough load flexibility to enable sustainable productive-energy use for its customers. Energy access is one of the world’s biggest challenges and many solutions have been developed in recent years (e.g. Solar Home Systems, Solar Kiosks, Mini-Grids). Mini-Grids are an essential solution in achieving energy access as they are the only non-national grid solution that offers AC Power and enough load flexibility to enable sustainable productive-energy use for its customers. Increased productivity is key because it increases the ability of bottom-of-the-pyramid customers in rural areas to pay. Therefore, Mini-Grid providers such as E.ON Off-Grid Solutions (Rafiki Power) are aiming to provide reliable energy and enable economic activities via productive-use. 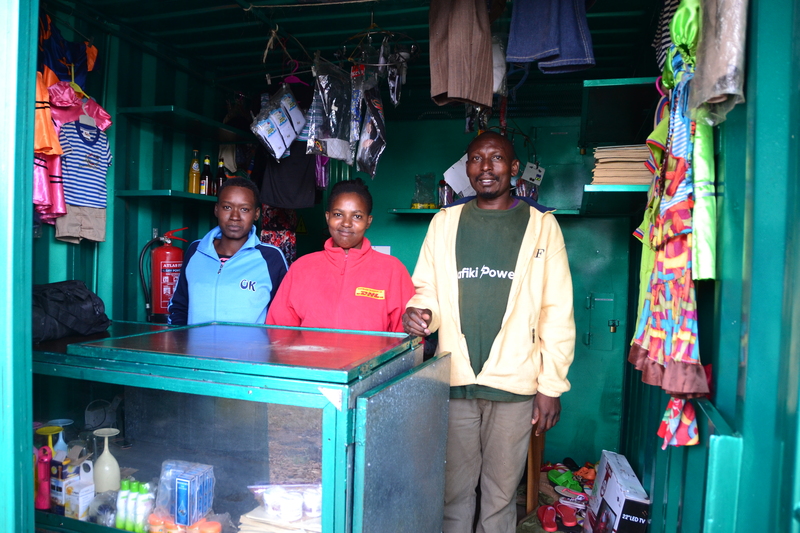 We at Rafiki Power want to help our customers open carpentry stores, repair workshops, hair salons and many other enterprises - making use of electrical appliances. Productive-use refers to productive or economic electricity usage of entrepreneurs and business in agriculture, commerce, health or administration. At Rafiki Power we approach the topic from two different angles: bottom up vs. top down. The “bottom up” approach of productive-use focuses on individual entrepreneurs and useful 220V electrical appliances. Different customer needs regarding economic activities are screened and analysed. Useful and energy-efficient electrical machines such as fridges, circular saws and welders are identified and offered to the customer. The customer is also trained to use the machine and in how to develop their own business. This approach focuses on the individual and the needed machine. The second approach towards productive-use is “top down” and focuses on the greater village economy and its place in the agricultural value chain. In this approach, the target village of the micro-grid is screened for overall economic activities such as sunflower/maize agriculture, petrol stations, big markets and their respective regional value chains. Based on this analysis 2-3 electricity dependent activities of the value chain are identified and an energy consuming micro industry cluster is built next to the micro-grid. This micro industry cluster can consist of e.g. food-processing machines, cooling houses and storing and is run by a local entrepreneurs or regional partners. Whereas these two approaches have their advantages and disadvantages, both can only be turned into a successful long-term productive-use strategy with the right partners in place. That is why Rafiki Power is currently working with Energy4Impact and constantly on the lookout for partners in the private and public sectors. We invite you to join us in the journey to facilitate productive-use of energy (contact us via info@eon-offgrid.com). E.ON Off Grid Solutions was founded as a start-up within E.ON’s start-up program in July 2013. Under the brand name Rafiki Power, the company operates as a service provider for off-grid energy solutions in East Africa with offices in Düsseldorf and Arusha, Tanzania. Renewable Energy Solutions for Africa - RES4Africa – is a leading platform for public-private dialogue in the Sub-Saharan energy context. It is a network of key international energy stakeholders - utilities, industries, agencies, technical service providers and top academia - engaged in promoting clean tech solutions in the Sub-Saharan Africa. RES4Africa is a spin-off project of RES4Med association: www.res4med.org. RES4Africa’s missions is to support the deployment of renewable energy, both large scale and distributed energy, energy efficiency solutions, and their integration in local and regional markets to satisfy local energy needs. RES4Africa contributes to building sustainable energy partnerships with a “bottom up” approach able to propose solutions customized to local contexts. RES4Africa encourages the set-up of partnership formulas to provide decision makers with the viewpoint of the private sector, stimulating investment opportunities along the entire supply chain, through networking activities among market operators, industry associations and other key stakeholders. RES4Africa will initially target the Eastern Africa region focusing on Ethiopia, Kenya, Rwanda, Tanzania and Uganda. 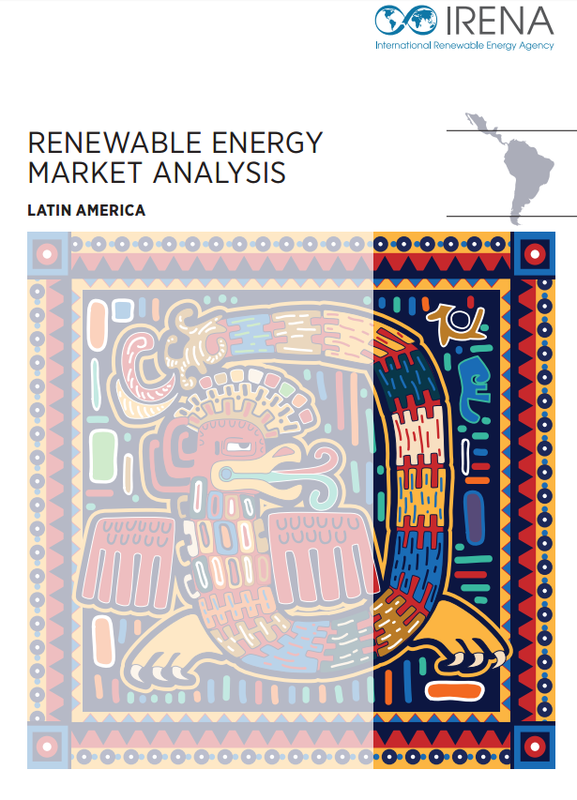 When addressing the challenge of sustainable energy strategies in the Sub-Saharan region and the role of renewable energy sources, it is important to understand the energy context and the availability of renewable resources. Africa is rich in resources but poor in energy supply. RE technologies are currently the cheapest solutions for grid extension in the case of centralized grid supply with good renewable resources as well as for off-grid and mini-grid electrification in remote areas. In order to speed up the progress, all interventions must take in consideration the potential of human capital and the development of its capacity to maximize the contributions of technology, finance and policy. In strengthening the role of people throughout the entire value chain, from production to users, capacity building and training activities become essential components of any successful project. Ensuring energy security and access to energy is a great challenge and a great opportunity: a clean, reliable and modern energy sector is an essential requirement for sustainable development in both Africa and Europe. 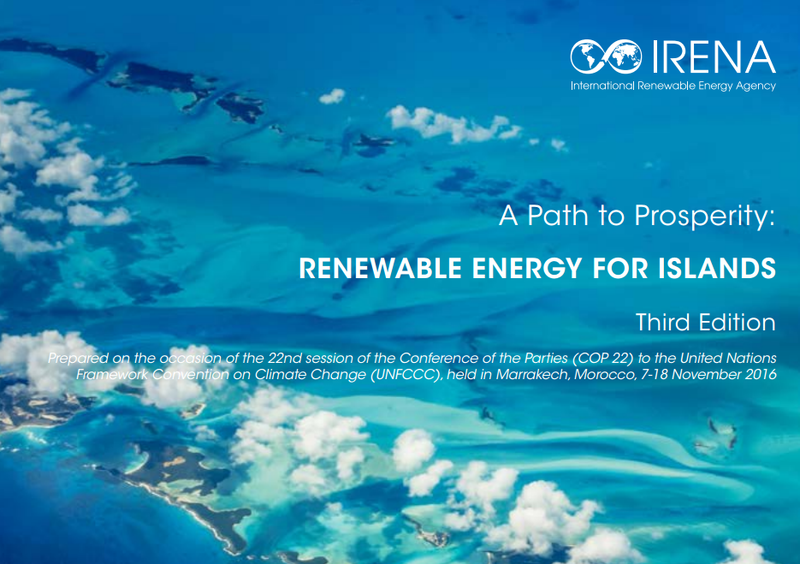 The first RES4Africa regional event “A step change in the deployment of Renewable Energy in Eastern Africa” took place last 26-27 October in Nairobi, Kenya. The conference was organized in partnership with AEEP (Africa-EU Energy Partnership) and in collaboration with KEPSA (Kenya Private Sector Alliance) and Strathmore University of Nairobi. In almost all developing countries around the world, the insufficient power infrastructure slows down the economic development and growth of wealth. Especially, small- and medium size enterprises (SME’s) do not have access to a reliable public grid and, therefore, need to rely on expensive electricity produced by Diesel Gensets. In almost all developing countries around the world, the insufficient power infrastructure slows down the economic development and growth of wealth. Especially, small- and medium size enterprises (SME’s) do not have access to a reliable public grid and, therefore, need to rely on expensive electricity produced by Diesel Gensets.Besides fuel supply chain issues, the high electricity cost cause a major concern with regards to overall production costs of these companies. In order to increase their competitiveness and productivity, SME’s seek out new options for lowering their electricity cost and dependence on fluctuating Diesel prices by installing a PV system with integrated battery storage. SMA provides a system technology which allows for high independence from the public grid along with outstanding system efficiency. The advantage of these AC-coupled systems is the implemented “merit order”: during day-time operation, loads are directly covered by energy from the PV plant without cycling the battery. Access PV energy is stored in the batteries and used in the evening or during the night. Below an adjustable State of Charge (SoC) of the batteries, the Diesel Genset gets a signal from the SMA Sunny Island battery inverter and is switched on automatically via a potential-free contact to recharge the battery. No manual system operation efforts are required in that case. Why does not everyone in the Sunbelt countries use PV energy yet? Over 10,000 off-grid references have been installed globally with the SMA Sunny Island inverter. Nevertheless, we still see a huge interest and demand in local technical trainings. Even though there is a clear financial business case for solar integration, it needs to be explained for all those who have not gained any experience with solar PV so far. Therefore, SMA Sunbelt, being the dedicated sales organization of SMA for emerging countries within the Sunbelt region, strongly engages in local training and capacity building: local stakeholders (installers, EPCs, system integrators, project developers) can register in the training courses offered by the SMA Solar Academy in Germany or participate directly in the trainings offered by our partner institutes in focus countries, like e.g. the Strathmore University in Nairobi, Kenya (https://hughayara.wordpress.com/2016/03/04/system-mess-and-anlagentechnik-technolgy-sma-launches-the-first-training-academy-in-east-africa-at-strathmore-university/). Leveraging on the vast experience in emerging countries, SMA Sunbelt supports local stakeholders during project development, procurement, installation and commissioning of Off-Grid and PV-Diesel-Hybrid solar plants. According to the International Energy Agency approximately 585 million people lack access to electricity in Sub-Saharan Africa, with rural electrification rates as low as 14.2%. This energy shortage has driven a vibrant movement of energy companies, harnessing different “pay as you go” models to make small solar kits affordable to off-grid households. According to the International Energy Agency approximately 585 million people lack access to electricity in Sub-Saharan Africa, with rural electrification rates as low as 14.2%. This energy shortage has driven a vibrant movement of energy companies, harnessing different “pay as you go” models to make small solar kits affordable to off-grid households. Although many of these models have not yet proven their long term financial viability, they have at least created an impressive positive impact, allowing millions of families to reduce their energy expenses, improve their health and reduce fire hazards related to kerosene lamps. However, as people move up the energy ladder, their needs become more sophisticated. This applies especially to entrepreneurs, who need electrical appliances. Let’s look at a couple of cases in Uganda, a country that is known for its high population growth and low level of formal employment (3.2% of the young productive population (20-29) formally employed). Christopher is a 25-year-old living in Mukono district, Central Uganda. He has always wanted to start a hair salon to make a living and gain status in his community. But he faced two challenges: First, to run his business, he needed “real electricity” to operate during evening hours and to power electric clippers. A small solar kit was not an option, and the electricity grid did not reach his village. Second, he went to several banks and MFIs to obtain a loan. As a young person with not much more than a business plan, he got rejected time after time. Subsequently Christopher purchased a 100Wp SolarNow system including three lights, radio, phone charging kit and a 12V hair clipper. He started his salon business three months ago. By just shaving six people and charging a similar number of phones a day, he is able to pay his monthly instalment to SolarNow and make an extra $45 profit each month. Also in Mukono district, Segya, a mother of 3, opted for SolarNow’s 150Wp Business Solution with a 12V fridge, as well as lights and phone charger, allowing her to sell cold drinks, also in the evening hours. This investment translates in a monthly extra profit of $37, after paying the monthly instalment to SolarNow. 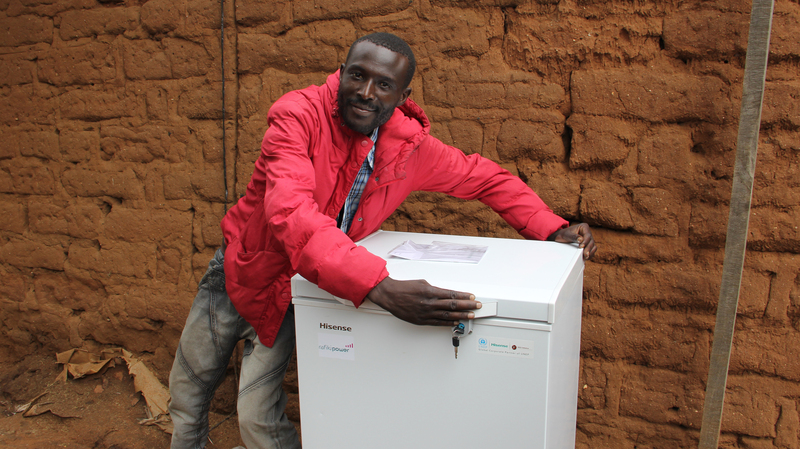 Like Christopher and Segya, 30% of SolarNow’s clients use their system for productive purposes and we see these numbers growing as we introduce new business appliances (big fridges, clippers, water pumps, etc.). The main driver behind the growth is the economic value proposition – clients start earning money with these systems even durig the 24-months payment plan. As a result, SolarNow’s average system size went up from around 80Wp back in 2014 to over 130Wp today. Serving the entrepreneurial segment requires a company to take a client-centric approach; by listening to clients and involving clients in the design of new appliances, the chance of success increases. This also requires a customized approach – every entrepreneur has different needs and therefore needs a different solution or approach. A one-size-fits-all approach does not work. Finally, to serve the segment well, a company must have an oiled after-sales engine – the company must understand that the entrepreneur’s income depends on a functioning solar system and the length of service interventions should be limited to hours rather than days. While not the easiest segment to serve, the potential is huge. The market for larger productive systems may look small in numbers but is more attractive than the household segment if it comes to potential USD sales revenue and margins. Not only because the larger average system sizes, but also as entrepreneurs are more likely to upgrade their systems over time. Specialized Solar Systems has designed, installed and commissioned one of the first DC Distributed Renewable Energy Systems in Africa. The system supplies distributed DC electricity to each individual customer, ensuring that the customer has energy for lights (both internal and external), charging facilities for cell phones, a radio, a television, fans and fridges and a number of small appliances to meet the customer’s requirements. The energy supply system is managed by the SSS-EPOWER platform, enabling each individual customer to pay for the energy they require according to their budget and availability of funds. With accurate monitoring from the Victron Energy platform, in conjunction with the energy meters (switchable) from the SSS-EPOWER platform, the utility owner is able to manage his investment while servicing a community that has not had energy for the last 30 years. Stability of hardware and remote management was of utmost importance in the design of the Sub-Centralized DC Distribution Micro-Grid and for this reason Specialized Solar Systems decided to utilize the Victron MPPT range, including their battery monitor and Color Control. This Sub-Centralized DC Distribution Centre was installed in July of 2016 and to date has performed accurately according to the design parameters, maintaining all aspects of generated energy and the supply of energy. 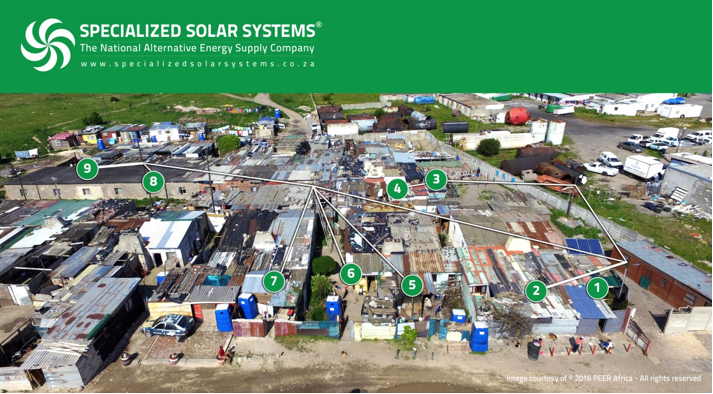 With the effective DC distribution and accurate monitoring from both platforms, we have the ability to service the poorer communities with much needed electricity, within a low capital investment and an effective return on this investment. As can be seen, the ability to gather information is one of the cornerstones in establishing an effective and sustainable Utility. 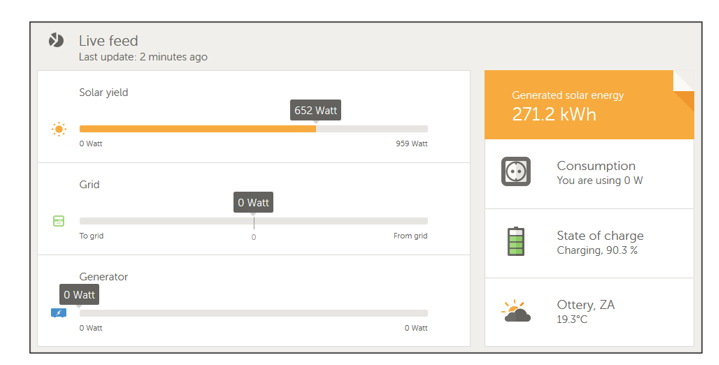 We can now monitor and control our Utility ‘generator’, reticulate energy to every home and manage the client process in all of its facets. Without instruments and platforms such as what Victron supplies, this project and vision would not have been possible. By giving energy practitioners a voice, networks play an important role in the transition towards sustainable energy systems in off-grid regions by facilitating effective knowledge exchange and mutual learning.The "WISIONS of Sustainability" initiative aims to empower local practitioners to identify and scale successful models and sustainable energy practices in their regional contexts. By giving energy practitioners a voice, networks play an important role in the transition towards sustainable energy systems in off-grid regions by facilitating effective knowledge exchange and mutual learning. The "WISIONS of Sustainability" initiative aims to empower local practitioners to identify and scale successful models and sustainable energy practices in their regional contexts. Consequently, WISIONS currently fosters four practitioner networks to facilitate knowledge development and sharing between practitioners and other stakeholders. These networks actively involve more than 120 organisations and individuals committed to people-centred sustainable energy solutions. The first network supported by WISIONS was RedBioLAC. Founded in 2009 in Peru, the multinational network brings together organisations, private enterprises and individuals from 14 countries across Latin America and the Caribbean with the aim of achieving universal biodigester technology use to support a better quality of life and empower the region’s population. 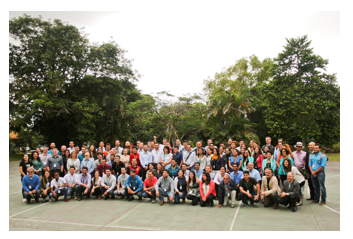 To date, RedBioLAC has hosted eight international conferences, the latest in November 2016 in Costa Rica, organised in cooperation with Asobiogás. These events combine training courses, field visits and presentations on latest developments and attract over 100 participants annually, helping to grow the interest in biogas and off-grid energy technologies in the host countries and beyond. At the end of November the newest, but largest, practitioner network supported by WISIONS – HydroEmpowerment Network (HPNet) – held its 3rd annual gathering in Nepal. This network, with a regional focus on South and Southeast Asia, aims to advance and advocate for sustainable pico, micro and mini-hydropower for rural empowerment. 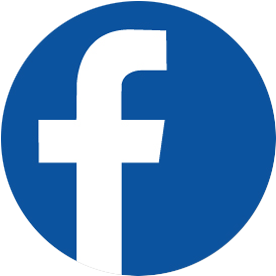 Since its establishment in 2013, the network has evolved rapidly and now has about 70 members from about 15 countries. It has successfully facilitated several exchange activities and the practice-to-policy workshops – held in Myanmar and Sri Lanka – have attracted particular interest. Despite their relatively short existence, the networks have helped to grow the positive perception of small-scale decentralised energy technologies as viable alternatives to conventional energy sources and grid-connectivity. Positive effects include increased knowledge due to hands-on training and new transnational connections between both individual practitioners and organisations. There is also increased self-awareness of the role that local experts and NGOs play in achieving the global target of sustainable energy access. Externally, representatives from local governments and national ministries, as well as the national media, have attended network events – raising awareness and attracting further interest in sustainable small-scale energy solutions. The key elements, objectives and activities of the four networks supported by WISIONS are described in the publication “Energy Practitioner Networks” (English or Spanish version). "WISIONS of Sustainability" is a Wuppertal Institute initiative supported by the Swiss-based foundation ProEvolution. Our latest news can be found in our newsletter or on our FB page. The event provides an opportunity to discuss progress on Zambia's SE4All Action Agenda and Investment Prospectus, to identify specific opportunities for strengthening multi-stakeholder partnerships to achieve the three goals of SE4All and to learn more about concrete markets and business opportunities for renewables in the Southern African region. Furthermore, a field visit to an off-grid project site will be offered. For more detailed information on the three day event, please see HERE. Any further questions please contact energy.access@aeep-forum.org. The Africa-EU Renewable Energy Cooperation Programme (RECP) will hold its first trade mission to Rwanda and Uganda from March 1st – March 8th, 2017. Networking seminars are planned on March 2nd in Kampala, Uganda and March 7th in Kigali, Rwanda. The trade mission will consist of up to 15 European companies from the European solar energy and small hydro power sector interested in the Eastern African Market, in particular Rwanda and Uganda. Similarly, up to 20 local companies from each of the target countries and 5 companies from other African countries will participate. The RECP trade missions aim to stimulate the market for renewable energy in Africa by encouraging and supporting private sector engagement. The missions will create opportunities for African and European private sector cooperation to develop businesses, exchange know-how and support technology transfer by engaging private sector companies as well as business associations on both continents. The trade mission is organised in partnership with the Rwanda Development Board in Rwanda and the Sustainable Energy for All (SE4All) Initiative in Uganda. RECP extends its appreciation to its European partners supporting the trade mission particularly their role in mobilizing participants. Together with Sustainable Energy Center of Excellence (SECOE) in Singapore, ADB, the Sustainable Energy Association of Singapore (SEAS), ElectriFI and European Commission, the Alliance for Rural Electrification co-organised a successful 5-day training for government representatives from seven developing Asian countries (Bangladesh, Cambodia, Nepal, Philippines, Singapore, Sri Lanka and Vietnam) who also gave insights into their country plans for rural electrification. Vice-President Caroline Nijland attended the stakeholder consultation on behalf of ARE and presented the ARE working paper on women and sustainable energy. ARE plans to further contribute to the consultation which provided a useful discussion platform for gender aspects of energy policies. As a first to step up activities in Asia, ARE has partnered with Energy Storage India (ESI), the leading conference and expo addressing the need for energy storage and micro-grid solutions in India. 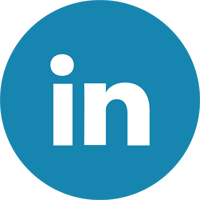 ESI focuses exclusively on applications, customers and deal making. It provides a first-class networking event to drive energy storage market expansion in profitable applications – highlighting the synergies, inter-relationships and new business opportunities for transmission, distribution, customer-sited, micro-grids/campuses and mobility applications. Energy Storage India is part of the World of Energy Storage event group, which includes events in Germany, North America, Japan and China. ARE with the kind support of EDP and RECP, has the pleasure to invite you to the ARE Energy Access Investment Forum, taking place on 22-23 March 2017 in the Turbine Hall of MAAT/EDP Foundation in Lisbon (Portugal). The aim of the event is to discuss market conditions, key policy initiatives, business opportunities and showcase financial and technical instruments supporting rural electrification projects in developing and emerging markets.